Hello. First post here. Sorry if this is inappropriate. I think this might be the appropriate topic, as opposed to starting a new thread. What's the deal with Washburn? Here's what I mean. Is the build quality going to be great? The neck is smooth? I've been playing 4.5 years. I own 8 Fenders: six decent electrics (American Standard teles/strats, Japanese Mustangs, and one MIC modern player with perfect build quality), one (well made, great sounding MIC) acoustic, and one American Standard P bass. 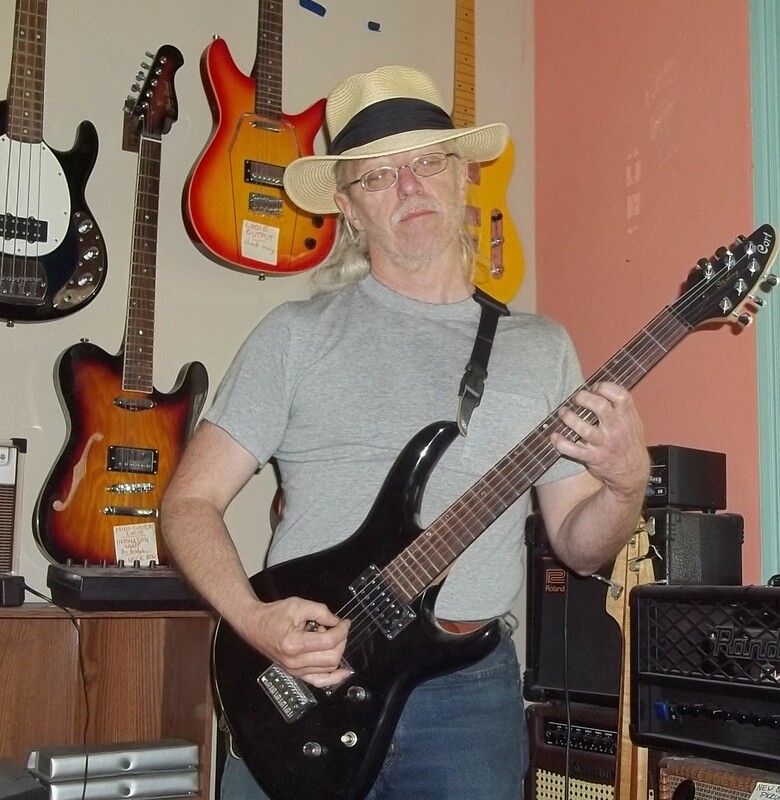 My first ever guitar, bought from Best Buy online in the summer of 2010, site unseen, when I knew nothing, was an "Oscar Schmidt by Washburn" Idol copy--you know, a $150 "starter guitar." I loved it and I miss it--wish I had not sold it. I recently bought my daughter a Washburn 3/4 size RX6--very nicely made and blows away the $99 Squier competition in 3/4 size guitars. Washburn is a storied old American company, from what I've read. The new parallaxe stuff looks amazing. But what's the deal? Where is Washburn? Where are the endorsers? Why is the product not in stores? Like..... what is the deal? I feel like I want my next guitar to be a Washburn. I like (despite owning Fenders up until now) to be different. I feel like Washburn is a secret weapon/unknown untapped amazing guitar company. Up until now I stuck with Fenders because as a newbie I wanted to be sure I was getting decent quality that would not hold back my development. Now that I have been playing over 4 years, I know what to look for using my own hands and eyes and ears.... my daughter's RX6 sounds as good as my $1300 artist series fender. The neck is nice. I imagine the $900 parallaxe is going to be a great guitar if I order it online. Seems to be true that mods not needed -- SD pickups, nice tuners, etc. Why is Washburn, it appears to me, almost not known? Not even as much as Ibanez, even Chapman guitars, ESP, etc? Is there a corporate plan? Why is Washburn, it appears to me, almost not known? ...where is the marketing? where are the dealers? Welcome aboard! ...but, yeah, that's kinda what this thread is about: people who've had multiple positive Washie experiences & want to ask WTF, DUDES?!?!? about the near-total lack of marketing presence. Signature models/editions? Yah, that concerns me. Consider Fender's little brother, Squier -- for bass alone they have Troy Sanders, Eva Gardner, Chris Aiken, Mikey Way, Mike Dirnt, & Pete Wentz, besides guitar endorsers Joe Trohman (ironically, a former Idol endorser), J Mascis, John 5, Deryck Whibley, & Avril Freakin Lavigne (not to overlook the non-US models for O-Larn & Ehsaan Noorani). See, for the past five-or-so years I haven't listened to (or watched) much in the way of "current hits," & EVEN --==I==-- readily recognize MORE THAN HALF of those thirteen names. Meanwhile, Washburn can't figure out if it wants to primarily be country, folk, death metal, hair metal, power pop, grunge... so their main (Washburn) line presently touts Richie Owens, Willie K, Warren Haynes, Ola Englund, & Nuno Bettencourt. That's five... of which I readily recognize two. I work in a place where we build transit buses for a couple hundred North American cities. I'm a mechanic with corporate experience. Years back, I asked a gaggle of plant managers, "We can focus on working fast... OR quality... OR build-to-build consistency... OR neatness. Which one should be our Number One priority?" They looked baffled, exchanged glances, then one spoke for the rest -- "Why, they're ALL important!!" So it looks to me (IMNSHO) like Washburn has a nice pile of Number One priorities. To borrow from Buddy Pine, "When everyone is special, no one will be special." When more than one thing is Number One, then by definition nothing CAN be Top Priority, so it ALL drifts toward triviality. Washburn could easily make Lyon their Squier (quality beginner/occasional instruments), & Oscar Schmidt their Fender Standard MIM (intermediate & utility guitars). Instead, the main site looks like Squier, the OS site looks like Bullet, & Lyon Online doesn't exist. They could focus on Big Store marketing OR online presence OR small-store nodes. They could align their name with ONE talent-seeking television program for an entire season. They could focus on players listened to by teens OR mid-twenties OR thirtysomethings OR middle-agers like me OR metal OR bluegrass OR alt-pop. When the instructions say CHOOSE ONE, then even a random pluck is better than all-or-nothing. I believe what you guys say are true, Washburn Management is so out of touch and have no direction they are headed that it affects peoples perception... There are limited number of endorse artist, Nuno Bettencourt, Ola Englund, (others i don't even know who they are) Stu Hamm (may not be the best but he left Washburn...) they need a good bass player, Tal Wilkenfield (is beautiful and talented).. there are many up and coming bass players who need sponsorship... but Washburn is set in their ways i guess. Thank you for maintaining these Forums. Sure, I wish there was more activity -- when I spot a Washie player locally, I mention the place, but that's a slow process for community-building. And many of the forum sites that do exist are loaded up with ads &/or Flash &/or cookies/tracking bots that drag down site response. This is a clean, fast site, & I can enjoy checking in when I have a few minutes -- laptop or Android -- no matter how slow my connection. May be they want not to spend millions on Marketing and famous endorsers but in QUALITY. And that can be the case of normal people feeling astonished when they play a good Washburn for the first time, they feel amazed about the quality. And that was my case when I first bought my D10STS acoustic years ago, or my new EA20 electroacoustic, I was impressed by the quality and the prices. May be if Washburn became more famous they would not be the same... but it is only a supposition. Well said, JuanAnthony....well said. Often I have thought the same, when thinking of Washburn Guitars. I first heard of Washburn in the mid-late 70's, when a friend of mine purchased a Washburn acoustic, don't remember the model, don't remember if it was high end or low end, but, I've always remembered the sound, the feel, the quality, the playability of that guitar..that vibe has never left me. "And that can be the case of normal people feeling astonished when they play a good Washburn for the first time, they feel amazed about the quality. And that was my case when I first bought my D10STS acoustic years ago, or my new EA20 electroacoustic, I was impressed by the quality and the prices. May be if Washburn became more famous they would not be the same"....an excellent post, it brings up a lot of good points. May be if Washburn became more famous they would not be the same... but it is only a supposition. Not just a supposition...truth! I visited my local music shop and mentioned to the owner that I was a fan of Washburns and he told me that he could get any Washburn I wanted at a good price. I asked why he doesn't stock any in his store and his answer was that it was difficult to justify the financial investment when nobody comes in and asks for them. He says he can sell all the Alvarez guitars and Fender guitars and....etc., etc., etc...that he can stock because that is what people know and ask for when they come in to his store. Sure, he said, he could try to talk the buyers into trying the Washburns, but he said why try when they already pretty much know what they want when they come in. Hard to argue with that sort of logic....no? Marketing/advertising is largely deductible against taxes. Every time you watch a sporting event, you see hundreds (if not thousands) of instances. I don't believe that Washburn has any use for some massive advertising campaign. But when's the last time you saw a TV ad for ANY guitar brand? Maybe flashing past from Guitar Center -- that's about it. However, Washburn certainly COULD sign on as a sponsor to a few television programs such as America's Got Talent or The Voice, where they provide their distinctive guitars & basses to those performers that use them, as well as any "house" musicians. Washburn is a division of U.S. Music Corp, which also owns Jay Turser, Randall, Oscar Schmidt, & Parker; they distribute (among others) Warwick/Framus, Hagstrom, Marshall, & Eden. Those offer some well-esyablished brands to be paired up with the guitars. What Washburn really needs, though, is brand recognition. When the name was relaunched in the late 1970s, I already knew it from my exposure to old guitars, like pre-1940s -- of course, there's no relation whatever between THAT "Washburn" & the present company, but that led me to actually test-play their electric guitars, giving 'em a chance to show what they could do. What I want to see is simply a matter of getting the word out. Okay, Washburn COULD give up on bottom-end electric guitars -- Lyon would be a MUCH better home for the cheap bolt-neck "Nuno" & the RX10/6/20, & maybe even more-midrange models like the XM, or the previous X-10/11/12/20 & WI-14/15/24/36; these are "commodity" guitars & would primarily go to supply Big Box discount chains & retailers. That would leave The W better able to focus on getting attention for their upper-end models. Same for acoustics. No, there's nothing BAD with the WD-10... but if a potential buyer hasn't tried something better, like an all-wood parlor or a WD-30 or a Southwest, then he's not only missing out on play that is at least an order of magnitude better, but also sorta proves my point: he'd quickly associate the "Washburn" name with "rather good CHEAP guitars" as opposed to quality. (He'd need to at least try one of their $1,000+ guitars, to have any idea what I mean.) As cool as the WD-10 etc. are, they'd be better as Lyon or Schmidt, rather than weighting down Washburn. Even your Festival. Yah, excellent axe, but it's dragged down by the EA-10/12/14/16/etc. -- if not for all the time, energy, & cash expended on those, maybe Washburn would still be producing models like the EA-45S or or EA-52SW. Would success kill Washburn's quality? Would winning $500,000,000 in the lottery turn you into a worse person? The future is unclear, but I can guess you wouldn't mind giving it a try. Though it pains me to be reasonable I find myself somewhere between the previous two posts. Do "heavy metal" brands "alienate" some of the market? While it's uncomfortable to think of fellow musicians as possibly harboring image-conscious dilletantes... well, there could be some truth there, going both ways. Speaking for myself, when I'm shopping for a crunchy distortion pedal, if the shop is library-quiet then I'm MUCH less likely to crank it up; then again, if I'm trying out archtop acoustics, some 15-year-old cranking out bad Megadeth chords (on a rig he'd never afford anyway) is not conducive to the experience. The "original" Idol series seems to bridge various chasms, showing up in the hands of players doing metal, country, hard rock, jazz, shoegaze -- pretty much anything. Washburn turns out great death-metal instruments, & great bluegrass instruments. Sure, monsters like Fender cover a similar range, but the fact is that Washburn dealers usually have such a small selection that it all gets crammed in a corner (or two: electric & acoustic), where the Fenders would get major display space, leaving plenty of room for the various "tribes" to not step on each other's toes. Even at the smallest Fender dealer that I know of, the guitars & basses are on opposite walls. As for the bulk of EspyHop's post, I mostly agree. One exception: leave the core Idol alone -- IMNSHO, it should remain "Gibsonish," with 22 frets & 24.75" scale & stoptail, with the X lines being "Fenderish" (24 frets, 25.5", various trems, & at least a token effort to use single-coil pickups). An occasional short-run Idol with a Bigsby or Wigsby or Kramer would be kinda cool, though, & maybe a custom "tone package" option with all the split/phase switching & the unloved VCC. And I reiterate: speaking only for myself, I criticize Washburn because I think they're one of the world's best brands & deserve all the associated recognition/profit. One of his points is that, rather than compete with the Internet, shops should be smaller &/or cater to a narrower niche &/or create returning clientele &/or offer stuff hard-to-find on the Net. they already have the skill to do "special edition" runs that never make it to the catalogues -- as an example, I'm trying to get info on the six-guitar Anarchy Graphic series (2006), which were just $400-$450 MSRP, yet became instantly collectible. Have a one-shot design done, offer one or two AT MOST to each brick-&-mortar retailer, pre-order only. This sets up a cycle of anticipation that brings people in & creates new fans. they are well-adapted to niches, the Nuno & Dime models, for instance. While Washburn shouldn't discourage the "cafeteria" one-of-each approach a small shop is often stuck with -- it's better than no presence at all!! -- they SHOULD encourage a shop to pick up a solid selection of acoustics OR Idols OR Parallaxes OR RX/XM in order to establish a core clientele. The breadth of their range gives Washburn the power to achieve market depth. and I've noticed that retailers do vaguely sense the potential, with this becoming increasingly apparent as the Big Brands & Big Stores begin to unravel against the Internet... but those small shops may need a specific call-to-action, & my feeling is that the first brands to give them a well-thought battle plan will be long-term winners. We admitted to ourselves that we had been afraid we wouldn't be perceived as a "real" music store by giving up a marquee brand name. However, as soon as our new philosophy was put into practice, we realized our fears were unfounded. We live in a fortunate time when there are more great brands and quality products to choose from than ever before. Now that we aren't spending so much of our buying power in one place, we are free to explore other brands. These are not B-level brands without any name recognition, either. We have acquired lines -- some of them include Duesenberg, Reverend, EarthQuaker, Marshall and Washburn -- with buy-in requirements that we consider more favorable, all while getting better margins. HEY WASHBURN -- they're READY to listen to you. Start making phone calls RIGHT NOW. Send an actual flesh-&-blood rep NEXT WEEK. ...or admit that you don't care if the company goes to hell. There really ought to be a way to stop that sort of frivolous lawsuits...nobody can "copyright" a chord progression, so nobody should be able to "patent" or get any other rights to the shape of a guitar's body or headstock. I understand the need to protect a person's intellectual property, but at some point things must become part of the "public domain" once they become well known. So what if somebody else makes a guitar with a body shape of a Strat or a Les Paul....as long as they do not represent themselves and their products as being related to Fender or Gibson, why should they care? I could understand if they are trying to protect some sort of proprietary tdchnology, but just a shape?